When you suddenly realize that it’s time for you to take care of your parents, you’re overcome with a flood of nostalgic memories. You realize you have to provide for them, just as they did for you. Always Best Care understands, and makes sure you get them the right kind of help – the best. 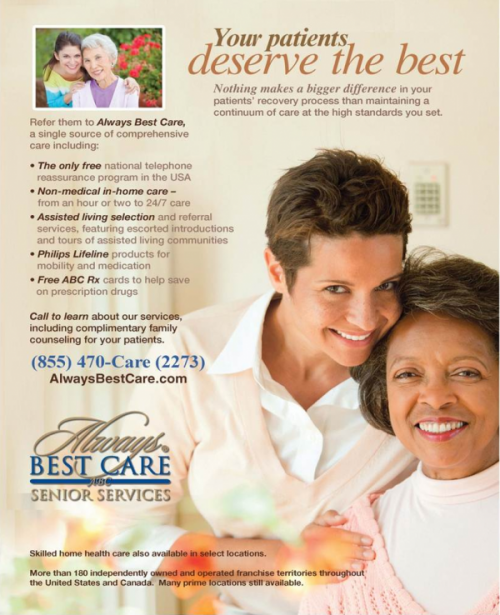 This heartfelt campaign has made ABC the fastest growing and most awarded senior care franchise in the country. Revenues soared 319% in less than two years as a result of the national consumer campaign. At the same time, our franchisee recruitment campaign increased the number of territories by 48.1%.